This cheque is BIG not only in size, but in value! 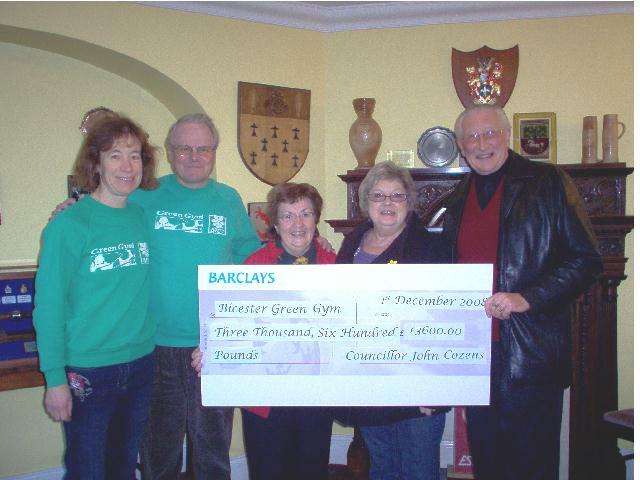 John Cozens, Bicester Town Mayor of 2007-8 presented us with this bonus after his fundraising year was completed and he had this to “spare”! We are commissioned to work on some land close to his heart and spend it on other projects, training or tools to benefit the town. 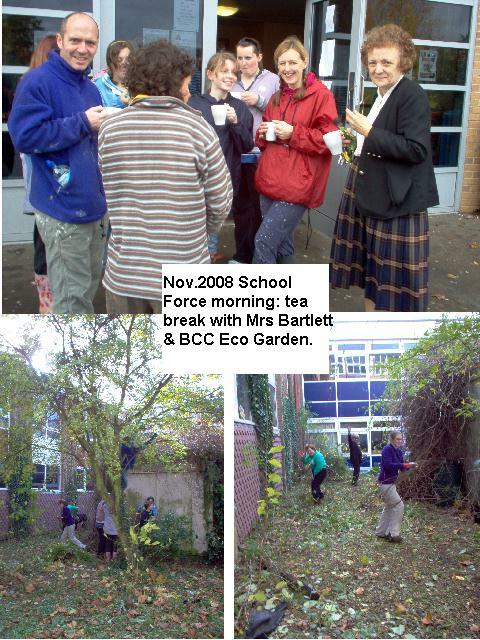 In November 2008 we joined Bicester Community College’s School Force Day and demolished their eco-garden! Working with a team of students and science teacher, Mr. Ladd, it was “cruel to be kind” so that more constructive planning and planting can be done next year. We found several frogs, loads of litter and an old WW2 (defused) bomb! (reputedly the only one which fell on Bicester). As with all Green Gym outings, the the break was a big feature, a welcome break from other work going on, such as fence painting (done by the Head, Mrs. Bartlett) planting, pruning, litter picking etc. 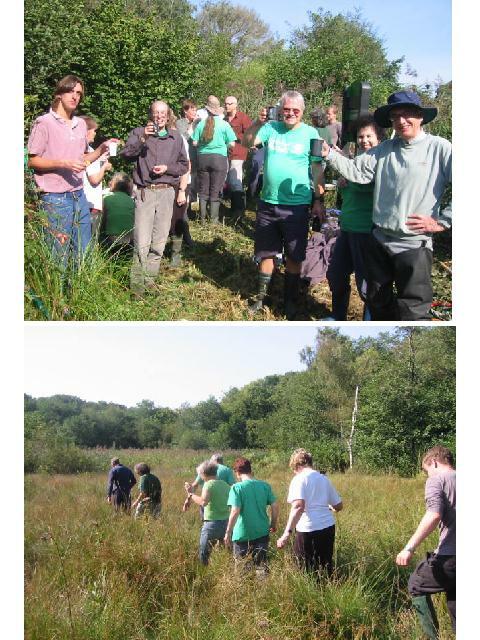 Abingdon Green Gym organised a joint session on 20th September, where we had to rake away cut grass from the boggy fen in 2 areas, to open it up and allow water to come back in. They will have another session in December. As you can see there was a good turn out, good weather, and a great tea-break! (followed by lunch at the pub). 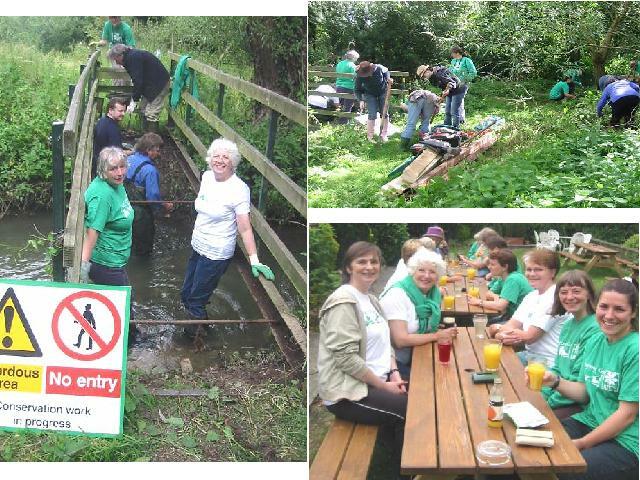 We joined Woodstock Green Gym on 16th July 2008 to help with slashing nettles and repairing a bridge. After several stings (nettles & wasp!) we adjourned to the pub for lunch! A productive and social session. 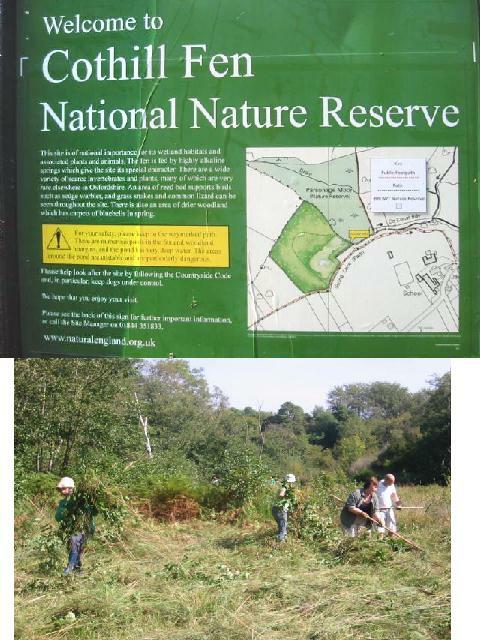 In May 2008 we enjoyed a very productive session with thanks to our colleagues from Sonning Common Green Gym. It started with reeds at shoulder height as far as the eye could see, ending with a new channel, open to the light, to help create a flowing stream and diversify the habitat. A continuing job which will always need an eye kept on it, so keep checking the programme for the next session! 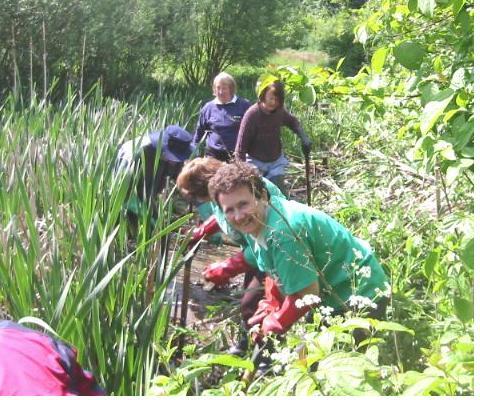 On 5th April 2008 we launched ourselves independently from BTCV, but still very much under their expert eye! We were also celebrating 10 years of Green Gyms and the arrival of spring! Here is the gang, along with the Mayor & Mayoress. We had quite a bit of interest and the weather was great!